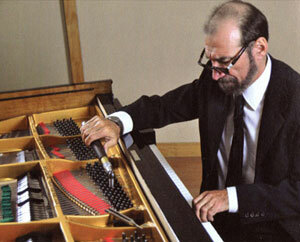 Mark's Piano Service is one of the most comprehensive piano service facilities available. We consider that both owners and restorers of any piano are also the caretakers, and in working directly with the client, we take this responsibility seriously. Our goal is to provide our clients with the best possible service for their piano. Mark Edel, through many years of experience, has a fundamental understanding of how string instruments work and should sound. He is a professional cellist and a member of the Guelph Symphony Orchestra and the Cantabilé Music Ensemble. He is also a cello teacher. 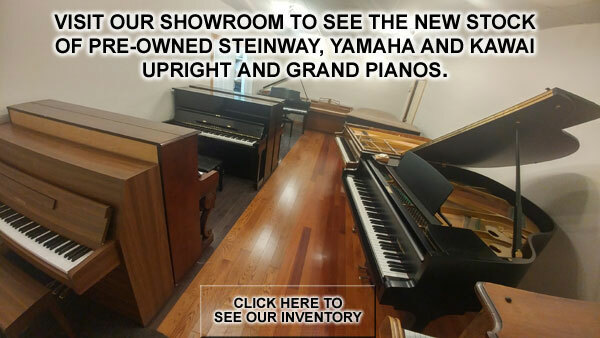 Mark is an experienced professional piano technician, with decades of experience, who specializes in piano assessments, rebuilding and tuning. With years of experience and many restorations, he is able to bring back the sound of virtually any piano to its best performance. A piano assessment can save you hundreds, if not thousands, of dollars. Before purchasing a piano privately, or from an unknown dealer, we strongly urge you to have the piano assessed. If you are given a piano, you should have it assessed before moving it into your home. An assessment would save you the cost of an extra piano move and also provide you with an appraisal for insurance purposes. Older pianos are often worth restoring. Vintage instruments were, in many cases, constructed using design, workmanship, and quality of materials which are difficult to find today. Our knowledge and experience with pianos, and our respect for the original craftsmanship combine to bring out the best in each instrument. In order to properly restore a piano, we allow the piano itself guide the way, so that the original voice of the instrument is brought forth. Our Restoration Goal is to present clients with a piano that has been returned to its former glory.